Çalışma gün, saat ve dahasını hesaplar! Görevlerinizde harcadığıniz saniye, dakika, saat, gün, hafta, ay ve yılları hesaplar. 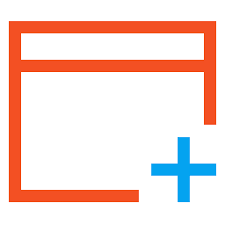 Just a faster duplicate file finder with 100% accurate result s you will love! A full-featured date time calculator, get result date, days bet ween dates and more. EWTC phones home every time it's started. Don't like that. The installation is small and registration locally and simple with (name and) key provided. It works as intended in it's core, so much for that. I just don't get what the "Provides you with many useful options." exactly could be, you can add or remove or edit a category, add a task, edit and delete it, start and pause it and finally backup and restore the data, that's it for useful options. The edit option doesn't seem to work properly or maybe it's by design, you can't change the start time anymore for a existing entry as it's greyed out, requiring you to delete that entry and making a completely new one. You could probably use it for not only work hours but other things too that you want to know how long it took you or how much time you wasted with it in a month, simple things like shopping, jogging, gym, playing games, surfing, whatever else, which could help you plan things out better daily, monthly or even yearly, if you want. It's simplistic and shows the critical info, as initially mentioned, it works as intended and can be kept if you need to track certain times. For others it may not be that useful. In essence, it's a time tracking program. 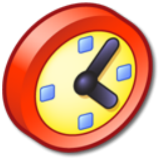 Some free alternatives with similar features from what i could gather: CKZ TIME CLOCK FREE EDITION, Personal Task Manager, ManicTime, Kimai, eHour 2. The description pretty much tells what this program does, so i'm not going to repeat it. :) The installation is small and registration locally and simple with (name and) key provided. It works as intended in it's core, so much for that. I just don't get what the "Provides you with many useful options." exactly could be, you can add or remove or edit a category, add a task, edit and delete it, start and pause it and finally backup and restore the data, that's it for useful options. The edit option doesn't seem to work properly or maybe it's by design, you can't change the start time anymore for a existing entry as it's greyed out, requiring you to delete that entry and making a completely new one. You could probably use it for not only work hours but other things too that you want to know how long it took you or how much time you wasted with it in a month, simple things like shopping, jogging, gym, playing games, surfing, whatever else, which could help you plan things out better daily, monthly or even yearly, if you want. It's simplistic and shows the critical info, as initially mentioned, it works as intended and can be kept if you need to track certain times. For others it may not be that useful. In essence, it's a time tracking program. Some free alternatives with similar features from what i could gather: CKZ TIME CLOCK FREE EDITION, Personal Task Manager, ManicTime, Kimai, eHour 2. For those that will have trouble with the setup.exe/bcd wrapper today... you can download the zip from the products homepage above and use that with the key from the giveaway bundles readme.txt it registers just fine. I am impressed by the small footprint of the installer considering it is digitally signed too! Am I right in the assumption that we can use this for the intended work/commercial activity and not be bound by the Strictly non-commercial usage clause? For those that will have trouble with the setup.exe/bcd wrapper today... you can download the zip from the products homepage above and use that with the key from the giveaway bundles readme.txt it registers just fine. I am impressed by the small footprint of the installer considering it is digitally signed too! Am I right in the assumption that we can use this for the intended work/commercial activity and not be bound by the Strictly non-commercial usage clause? The program is very basic - it's a basic time-keeping software and for that works very well. You can add a task, and it will start timing it, pause it, stop it etc. and it will give you the duration. You can customise it and add clients etc. but in general because you've only got a time-keeping system that is probably more trouble than it's worth. If it had an integrated invoicing or pricing system it would be far more useful i.e. where you could type in your going rate and it automatically gave you the amount to charge based on the time taken then that would've made the price worthwhile. Installed without a problem. The program is very basic - it's a basic time-keeping software and for that works very well. You can add a task, and it will start timing it, pause it, stop it etc. and it will give you the duration. You can customise it and add clients etc. but in general because you've only got a time-keeping system that is probably more trouble than it's worth. If it had an integrated invoicing or pricing system it would be far more useful i.e. where you could type in your going rate and it automatically gave you the amount to charge based on the time taken then that would've made the price worthwhile.